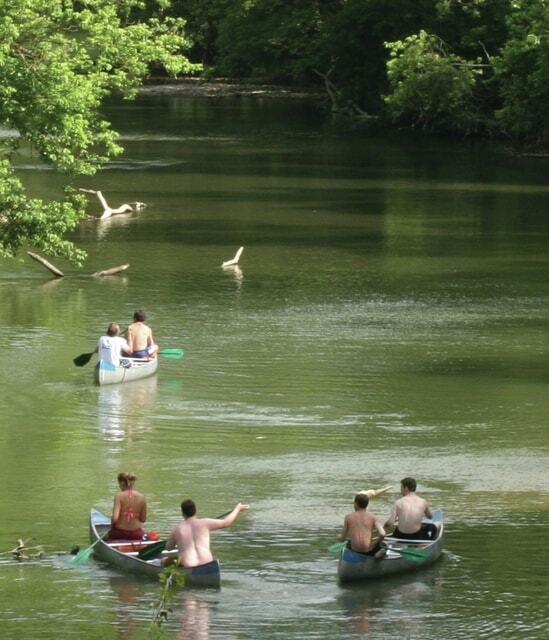 Canoers paddle on the Little Miami River. BELLBROOK — Locals can participate in a free canoe trip as part of the state’s 2015 Paddle Ohio program at 9 a.m. June 27. The event will begin at the Mill Bridge Launch, 2754 Graf Mill Road, and will end at Constitution Park, State Route 42 and State Route 725 in Spring Valley. The approximately three-hour event is being put on by Greene County Parks & Trails and the Ohio Department of Natural Resources Division of Watercraft. All canoes and equipment will be provided with pre-registration required prior to the event. The Paddle Ohio program promotes paddling on Ohio’s scenic rivers and designated water trails. Boaters who paddle any of the scenic rivers or designated water trails in Ohio are part of Paddle Ohio. Participants may also receive a commemorative Paddle Ohio pin at no charge if they paddle four different Ohio scenic rivers or water trails. A log of the four paddling trips must be entered at paddle.ohiodnr.gov/getyourpin before November 1 to receive the pin. Participants who paddle all 20 scenic rivers and water trails in Ohio will received a certificate signed by the chief of the ODNR Division of Watercraft. For more information or to register call GCP&T at 937-562-6440 or email kjenkins@co.greene.oh.us.